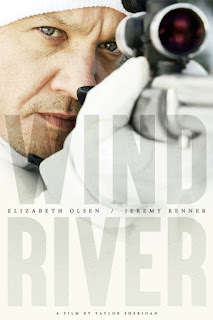 Directed and written by the writer behind the amazing Hell or High Water, Wind River is so good in so many ways... and really not good in one important way. It is the kind of film with a fatal flaw which just makes you wish it could have addressed its one problem so that it could have been the truly satisfying experience it needs to be. Writer/director Taylor Sheridan has made a simmering, contemplative thriller shot across a beautiful, engrossing landscape. It's cinematic gourmet, offering an array of great flavours (in its cinematography, its story telling, the subtle yet powerful performances) and serving it all up in a completely satisfying package. Its simple yet compelling narrative is laced with gravitas about a tortured culture. The weight of the film is powerful yet never drags. Sheridan gives his story time to breath and to be felt not just watched. 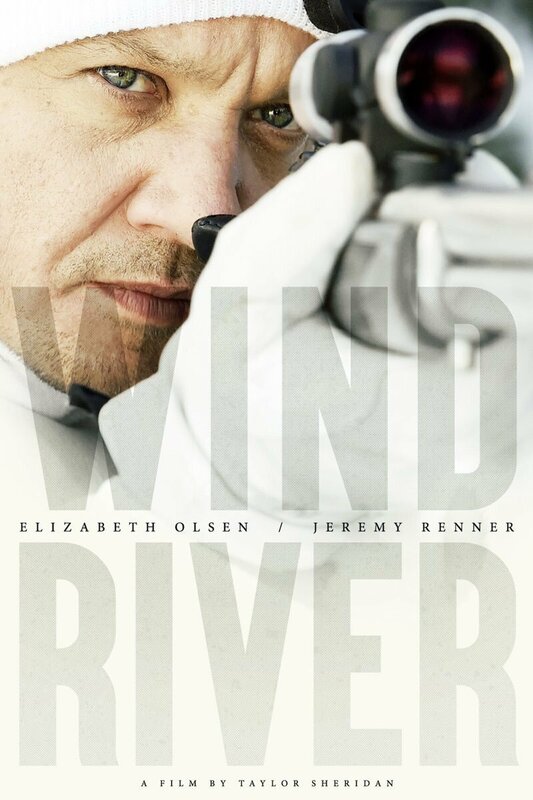 Wind River is one of those rare finds, an accessible film which manages to offer something more than the usual multiplex fare. Which is why the casting of Jeremy Renner (a great actor who I normally enjoy in most roles) is such a deep disappointment. It has nothing to do with his performance. He does a great job. But he's miscast. The film's story is a mystery on an Indian Reservation, and the mystery is tied specifically to the issues of poverty, exploitation, cultural genocide, and addictions. The film has a strong cast of indigenous actors who get multifaceted roles, significant screen time, and well written scenes to explore their characters. There are likely more good indigenous parts in this film than in all the rest of Hollywood's fare this year put together. Yet they cast Jeremy Renner in the lead. The film falls into the white savior trap. The film's story doesn't require his character to be white to work. In fact, I argue the film would have been 10 times stronger if he hadn't been. It's not the same as Elizabeth Olsen's FBI character. Her role is to be the outsider through which we are brought into this story. Neither is it the same as John Bernthal's character whose whiteness is essential to the plot. Renner's whiteness is superfluous. In fact the film's dialogue and narrative jump through numerous hoops to have to explain it. If he had been an indigenous actor in that role, the film would have made more narrative sense, and would have made the story easier to tell. Also it wouldn't have invalidated much of what the film is trying to do by having the white man save the FBI agent and the folks living on the reserve. I wanted to ignore this problem because so much of the rest of the film was that good. But it was so central to the heart of the story that it just kept getting in the way of what was a truly great film otherwise. Perhaps one day Hollywood can make a film like this without feeling the need for the white guy to ride in and save the day.